If an adult becomes incapable of making responsible decisions due to a mental disability, the court will appoint a substitute decision maker, often called a “guardian,” but in some states called a “conservator” or other term. Guardianship is a legal relationship between a competent adult (the “guardian”) and a person who because of incapacity is no longer able to take care of his or her own affairs (the “ward”). A public guardian is appointed by the court to serve wards when no family member or private guardian is available. The New Yorker article, written by staff writer Rachel Aviv, focuses on a Nevada couple who came under the control of public guardian April Parks. As guardian for hundreds of wards, Ms. Parks, took over their lives, sold their belongings, and charged their estates hundreds of dollars an hour while doing so. Over her 12 years as a public guardian, Ms. Parks built relationships with hospitals and medical providers to refer patients to her and found doctors who were willing to declare patients incompetent. Families often found out too late that their loved one was under guardianship and beyond their legal control. Ms. Parks was just one part of a system that fails to protect vulnerable elderly individuals the way it is meant to, Aviv suggests. The couple in the article lost their home and freedom and were moved around to various assisted living facilities and medicated. After the couple’s daughter notified the media, Ms. Parks was finally removed from the case. She was eventually investigated and indicted for perjury and theft related to her business dealings. Unfortunately, according to the article, other public guardians who are abusing the system are still working. 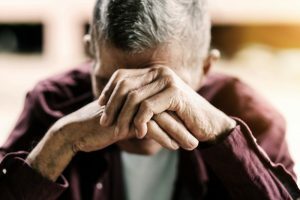 There are a growing number of stories of seniors who become confused and overwhelmed after losing control of their lives to a guardian they don’t know. In response to such abuses, some states have begun making reforms. In March 2016, Florida’s governor signed a law creating an Office of Public and Professional Guardians that is required to create standard practices and rules for public guardians. Nevada has also enacted a number of reforms, including requiring that individuals subject to guardianship be represented by an attorney, that are set to go into effect in 2018. And in a rare display of bipartisanship, Congress recently passed and sent to the President a bill that empowers federal officials to investigate and prosecute unscrupulous guardians and conservators appointed by state courts. While there isn’t a foolproof way to prevent someone from preying on you or a loved one, there may be steps you can take to reduce the chances. A power of attorney allows a person you appoint (and trust) to act in place of you for financial purposes when and if you ever become incapacitated. Having a power of attorney in place may lessen the need for a guardian. To find out what you can do to protect yourself and your loved ones, consult with your attorney. To read the New Yorker article, click here.